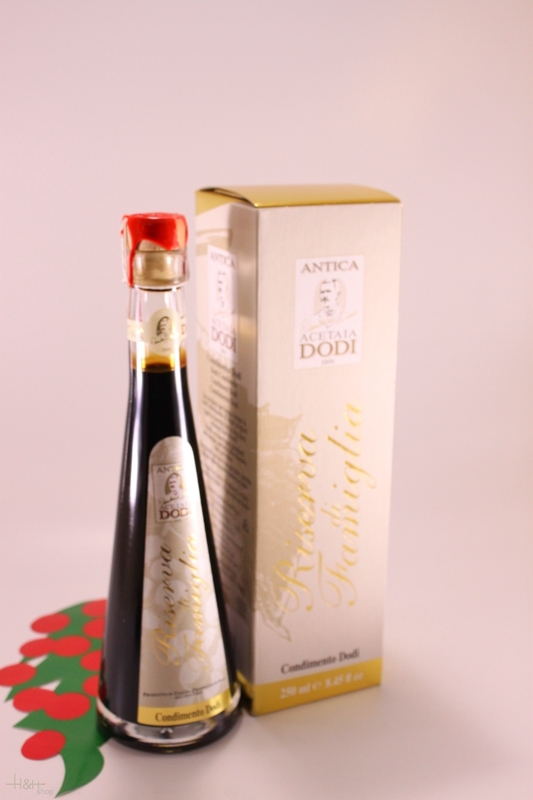 Produced the finest selection of musts and Balsamic Vinegar of Modena, these cream dressings add a sweet and sour note that goes with any dish, bringing out its flavour and quality. The Crema di Balsamico Carandini is something completely new in the sector and has been an international success because of its marvellous organoleptic properties, ease of use and versatility. Balsamic Condiment 'Il Patriarca 30' 50 ml. - Acetaia Leonardi 42,90 EUR / 85,80 €/100 ml. Balsamic Condiment 'Gold Seal 12' 250 ml. - Acetaia Leonardi 29,15 EUR / 11,66 €/100 ml. Balsamic Condiment 'Corte 5' 750 ml. - Acetaia Leonardi 33,60 EUR / 44,80 €/lt.